Queen Victoria disliked Russia. She considered it a backward, unstable country with a very uncertain future. So, it was with strong reservations that she received the news her beloved granddaughter Ella, whom she had helped to bring up, was to marry a Russian duke. Born on 1 November 1864 to Victoria’s daughter Alice and her husband Prince Louis, Grand Duke of Hesse and by Rhyne, Elizabeth Alexandra Louise Alice, nicknamed Ella, had enjoyed a loving and modest (by royal standards) childhood. She swept the floors and cleaned her own room, wore dresses made by her mother, and often visited wounded soldiers in hospitals with her. Then, in 1878, tragedy struck. Both her younger sister Marie and her mother died of dyptheria. 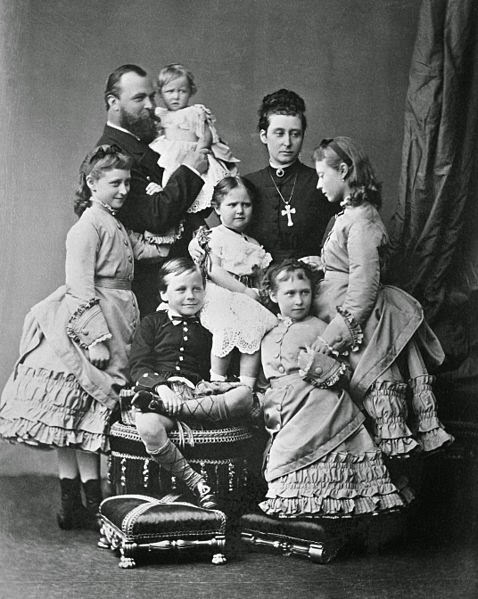 For the next few years, Ella and her siblings, including Alix (destined to became empress of Russia), had spent as much time in England with their grandmother as they did back home in Hesse with their father. Ella, with her slender figure and porcelain skin, was both beautiful and lovely. Once she made her debut, royal suitors competed for her hand in marriage. Queen Victoria favoured Wilhelm, the eldest son of her daughter Vicky and heir to the German throne. He was besotted with Ella, but she didn’t reciprocate his feelings and turned him down. She also refused the future Frederick II, Grand Duke of Baden, William’s first cousin. Instead, she fell for the Grand Duke Sergei Romanov, son of Tsar Alexander II. Ella had known him since childhood, but never thought much of him. Educated and reserved, he was also stiff and shy, and because of that considered haughty by many, including Ella. But, after both of his parents died the same year, Ella started seeing Sergei in a new, different, light. The loss of their parents and their piety (they were both intensely religious) drew them together. When Sergei proposed, Ella accepted. 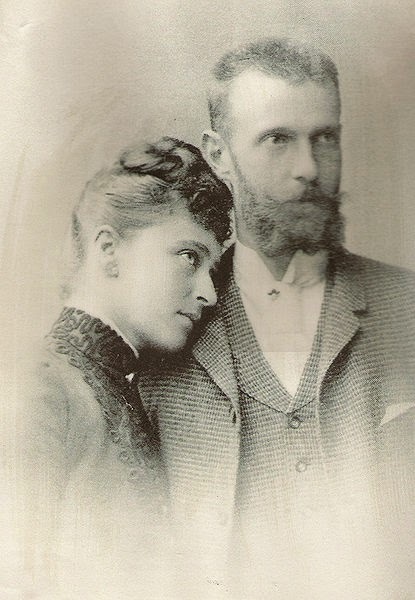 The couple married on 15 June 1884, at the Chapel of the Winter Palace in St. Petersburg. 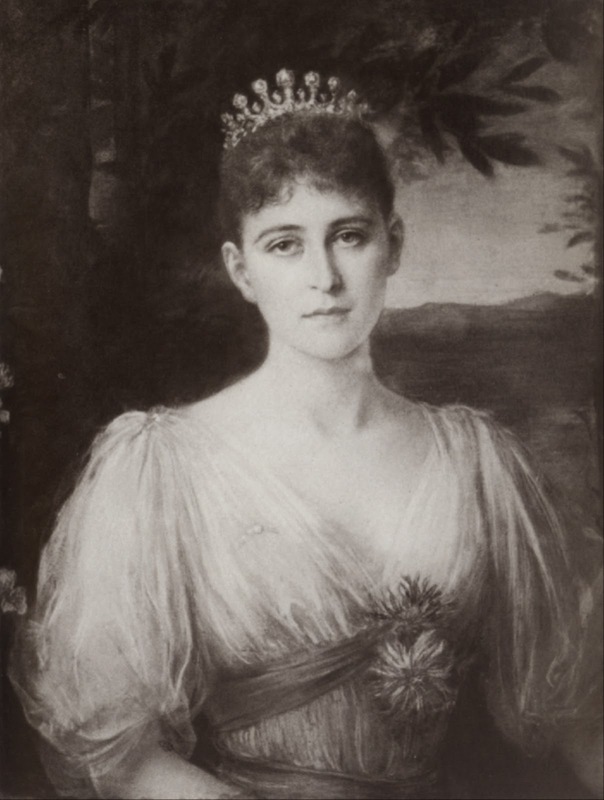 Ella now was Grand Duchess Yelizaveta Fyodorovna. She started studying Russian language and history, and even converted to the Russian Orthodox faith, which pleased the Russians as much as it appalled her Protestant family. But she never had children of her own. 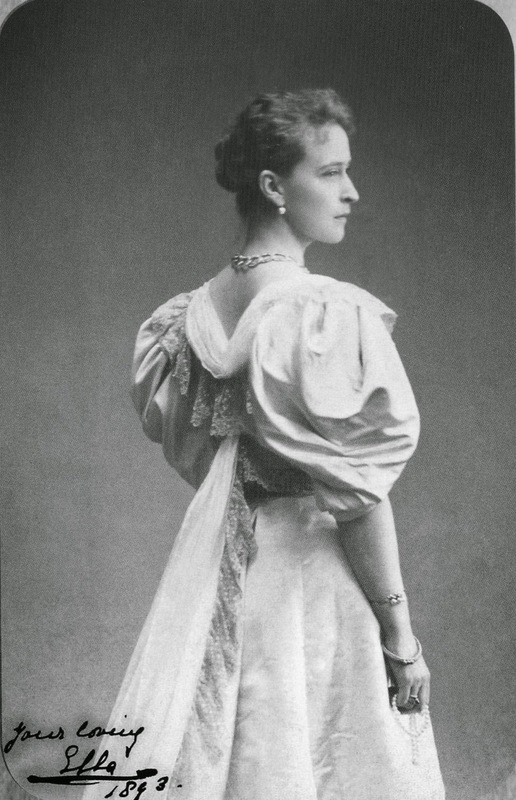 Instead, she organized parties for children at home and even semi-adopted Grand Duke Dmitry Pavlovich and Grand Duchess Maria Pavlovna, Sergei’s niece and nephew (their father had been exiled). However, their childlessness sparked rumours that Sergei treated his wife cruelly. He was accused of being a pervert, a masochist, and a homosexual, and Ella to take comfort in the arms of Serge’s younger brother, Pavel. The rumours were false (actually, he may have been a homosexual, but we’ll never know for sure), and spread by the enemies Sergei had made for his deep conservatism as Governor-General of Moscow (a position he was appointed to by his brother, Alexander III) and later advisor to the Tsar Nicholas II. He was so hated that, in the wake of the humiliating Russo-Japanese War, he was assassinated in the Kremlin by the Socialist-Revolutionary, Ivan Kalyayev. Ella was devastated. Before the funeral, she went to visit Kalyayev in prison and forgave him. She even offered to plead for his life with the Tsar if he repented, but Kalyayev was determined to be a martyr for his cause. He was hanged on 23 May 1905. 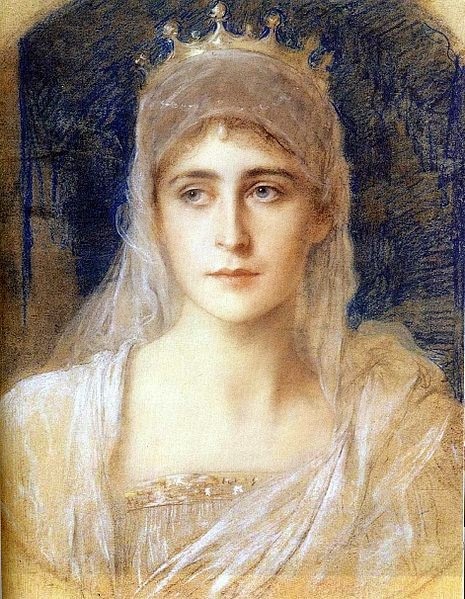 After Sergei’s death, Ella drew away from her life at court. She wore mourning clothes, became a vegetarian, and gave away her art and jewellery collections (she didn’t even keep her wedding ring!). She used the proceedings to buy an estate on the Moscow River. She turned it into a convent dedicated to Saints Mary and Martha and, after taking the veil, she became its abbess. On its grounds, she also opened a hospital, a orphanage, a pharmacy, and a chapel. Ella and her nurse dedicated their lives to helping the poor. Despite all her charity work, Ella was still considered by Lenin and his supporters as a foreigner and German sympathizer. In early 1918, Lenin ordered her arrest. 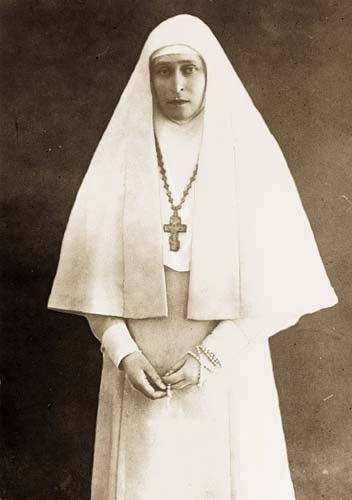 She was first taken to Perm, then Yekaterinburg, and finally to Alapayevsk, where she was kept, with other members of the Romanov family, in a school on the outskirts of the town. In July, men from the Cheka, Lenin’s secret police, went to the school to execute the prisoners. That night, the prisoners were awakened and taken to the Alapayevsk, where there was an abandoned iron mine. They were beaten and thrown into it. When they survived, the Cheka operatives threw hand grenades into the pit. Only one prisoner died. Finally, the pit was set on fire. Even so, most of the prisoners died of wounds they had been inflicted or starvation. Three months later, their bodies were removed from the mine and, eventually, buried in Jerusalem. Sixty-three years later, Ella was canonized as a saint by the Russian Orthodox Church.